An emotional support dog is more often described by the catchall term Emotional Support Animal (ESA). Most ESAs are dogs, but they can be a variety of other species. ESAs provide comfort for a person with a psychiatric disability such as anxiety, post-traumatic stress disorder (PTSD) or depression. ESAs are often confused with service dogs, but they have different responsibilities and access rights. Service dogs are specifically trained for their jobs and have legal protections. A service dog is defined by the Americans with Disabilities Act (ADA) as a dog that is trained to perform a specific task to assist a person with a disability. A service dog may perform tasks such as a guide dog helping a blind person move about freely in public or a medical alert dog letting a person know when they sense a seizure or diabetic attack is coming on. Service dogs by law must be allowed to go with their person anywhere in public and travel with them on public and commercial transportation. There are, however, exceptions such as if the dog is unruly or off-leash or is in a place where it would be a problem such as during a medical procedure. An emotional support dog does not always have the same legal standing as a service dog. An ESA is designed solely to provide emotional support to its owner. The ADA specifically states that they are not covered under the ADA as a service animal. ESAs are required in some instances to have "reasonable accommodation" in housing under the FHA where pets might otherwise not be allowed and may have deposit fees waived. 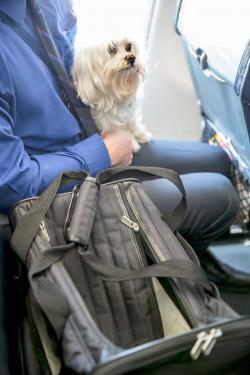 ESAs can travel on a plane like a service dog under the Air Carrier Access Act, but they may be required to demonstrate that their dog has paperwork, such as a prescription from a psychiatrist, and the owner may have to provide information on their need for the dog. A service dog owner does not have to provide either. Each airline has different policies for ESAs whereas a service dog is covered under the ADA regardless of airline. There may be some confusion between the ESAs and psychiatric service dogs because both assist people with mental health issues. An ESA's role is to provide comfort with its presence and they are not trained to do any specific tasks. A Psychiatric Service Dog, under the ADA, is trained to do specific tasks for a person, such as alerting them to an oncoming panic attack so they can take medication or leaning against them during a panic attack to keep them stabilized. What Are the Benefits of an ESA? Mental health professionals are concerned by the fact that there is no clear conclusion yet on whether an ESA can help a person with a mental health disability any more than a regular dog could. A review of ESAs published in 2016 in Professional Psychology: Research and Practice found that the evidence ESAs provided benefits to people with mental illness was inconclusive. Another study in 2017 in the Journal of Clinical Psychology found ESAs may provide some benefit, but it's not clear how much and whether other factors are involved. Who Can Get an Emotional Support Dog? There are no specific regulations regarding how to get an ESA. You do need to have a prescription from a psychiatrist or other medical doctor stating why you need the dog and the basis for the prescription. There is no training required for the dog. One of the negative issues regarding ESAs is the proliferation of websites offering prescriptions and "certification" for ESAs. Many of these require you to answer a few questions to qualify, and for a fee, will send you a prescription and certification paperwork. Certification is not required and is unnecessary for an ESA owner. Moreover, there are ethical concerns over the ability of anyone to get a prescription letter over the internet without having met and worked one-on-one with a mental health professional. This has led to the proliferation of ESAs from owners who simply want housing rights or travel access for their pet. A big part of why these certifications and prescription ESA websites have grown is that true mental health professionals who work with patients in person are conflicted about writing prescriptions for an ESA. In 2016, the American Psychological Association cautioned practitioners to think twice about writing prescriptions. Doing so could create problems for the therapy work with the affected individual and there are no guidelines or review of the animals to determine if they're suited for the work and even safe around the public. There has been a great deal of backlash regarding ESAs in the news because of what appears to be abuse of the designation. In addition to ESAs from species such as peacocks, ducks and hamsters, there have been incidents with dog bites on airlines from ESAs. This has led to several airlines updating their rules on ESAs in 2018 such as Delta, United, JetBlue and American. 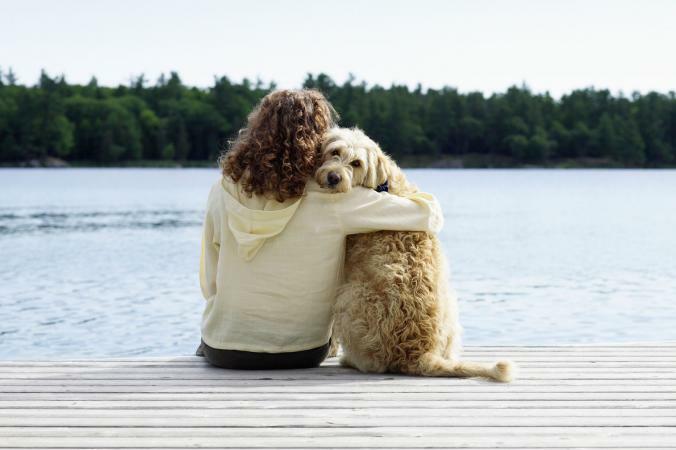 There are clearly many issues surrounding obtaining an Emotional Support Dog. If you decide you require one, work with a qualified mental health professional to assist you in this process. You may also want to work with a qualified animal behaviorist and trainer to find the right dog for your needs and make sure they are trained with at least basic obedience skills to interact with the public in a safe and stress-free manner.